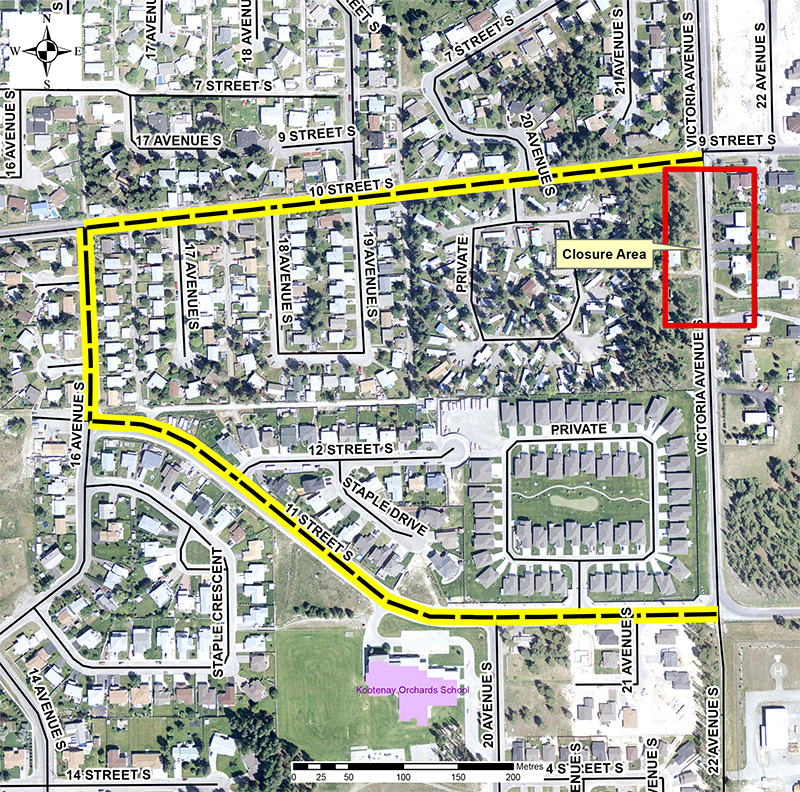 Cranbrook, BC (October 25, 2018) – A pavement repair project on Monday October 29 will close part of Victoria Avenue between 10th Street South and 11th Street South for most of the day. Power Paving will begin work at 8:00am with paving expected to continue until about 5:00pm. A detour will be in place for the duration of the work. Drivers coming in and out of the Kootenay Orchards School and Gold Creek areas, please slow down and use caution while travelling through that area Monday. Please follow and respect all signage and flagging staff in place. It is also important to slow down through the detour route around Kootenay Orchards School. The speed limit is 30km/hr though school zones and it is important to be aware of the safety of students arriving to and leaving school. Drivers should anticipate extra traffic along the detour route especially in the morning and mid-afternoon for school drop off and pick up, which may cause some slight delays. The City of Cranbrook is committed not only to the safety of the public but to the safety of our staff and contractors. Thank you for remembering their safety as well as your own as you drive through construction zones. When driving through the City and you see vehicles with flashing lights, please be aware that workers are present. Reduce your speed and allow extra space when passing vehicles, where it is safe to do so. The City of Cranbrook appreciates the patience and understanding of the public as this project is completed.